KNOXVILLE, Tenn. — No. 10/10 Tennessee (12-1, 1-0 SEC) plays its second straight game against a team with a Tiger mascot, as Missouri (12-3, 1-0 SEC) comes to town for a Sunday matinee. Tip-off is slated for 2:02 p.m. ET at Thompson-Boling Arena, with the game being broadcast by ESPN2 and the Lady Vol Radio Network. On Thursday night, the Lady Vols improved to 31-6 all-time and 6-1 during the Holly Warlick era in SEC openers, outlasting a talented Auburn team (12-2, 0-1 SEC) on the road, 78-69. The win was UT’s fourth straight after suffering its only loss on Dec. 18 to No. 8/9 Stanford in Knoxville, 95-85. Auburn had one of the four best records produced by SEC teams during the non-conference slate and had been outscoring foes, 82-0 to 62.7. The Lady Vols improved to 4-0 in road SEC openers under Warlick and to 15-3 in those games all-time. UT has won its last 12 SEC openers on the road. Mizzou comes into Sunday’s tilt on a four-game streak of its own, getting its first SEC win on Thursday night with a 78-55 triumph over Ole Miss. The Tigers’ losses are at the hands of Green Bay (56-49), Michigan (70-54) and South Dakota (74-61). MU has wins over Duke (62-54) and West Virginia (68-51) to its credit. The game will feature the SEC’s second-best scoring offensive (UT/82.4 ppg.) vs. the league’s No. 5 scoring defense (MU/55.9). Beth Mowins (play-by-play) and Debbie Antonelli (analyst) will describe the action for ESPN2. Sunday is Dads & Daughters Day at The Summitt. The Dads & Daughters ticket package includes a pregame event at the Women’s Basketball Hall of Fame, tickets to the game and t-shirts. For more information visit AllVols.com. Enjoy the pregame Kids’ Corner at Gate F. It opens one hour prior to tip-off. Fun includes free face painting, the Big Orange prize wheel, visits from Smokey and cheerleaders, crafts and more at the Kids’ Corner. There will be a halftime performance by Peter Rabbit Bucket Drummer. Postgame lay-ups: Kids 12 & younger can shoot a lay-up on the court after the game. 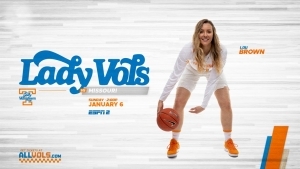 Help us Spark the Summitt during Introductions at the game. Download our new free light-up app, courtesy of Coca-Cola. Once downloaded, simply open your Hoops Hype app when the lights go out, and let your phone do the rest. Tickets are available for as low as $10 at AllVols.com. There is free parking & shuttle service available from UT’s Ag Campus. Shuttles begin two hours prior to tip-off. 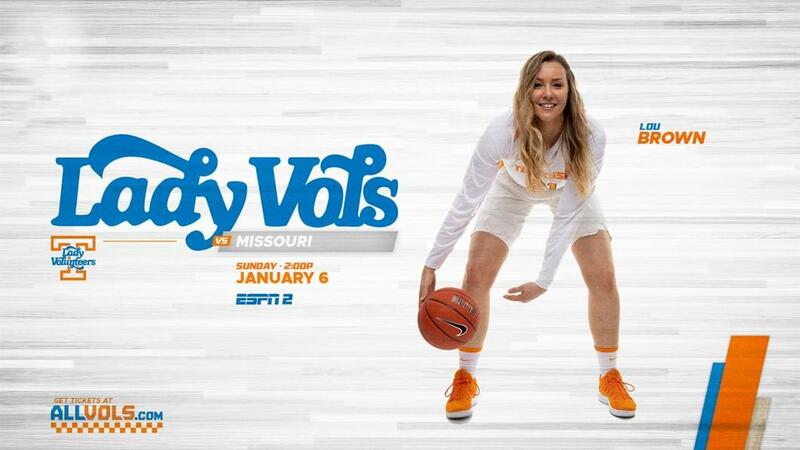 The Lady Vols hold an 8-2 all-time record vs. Missouri, dating back to Jan. 14, 1978. Against Missouri, the Lady Vols are 4-0 in games played in Knoxville, 1-0 in neutral sites, and 3-2 in Columbia. Holly Warlick is 5-2 in the series vs. Missouri, possessing a 3-0 record in Knoxville and 2-2 mark in Columbia vs. Robin Pingeton’s squad. The two times UT has surrendered more than 70 points in the series during the Warlick era, the Lady Vols have dropped both contests. Both were in Columbia, including one last season. Tennessee has won by an average score of 74.7 to 52.7 in the three games in Knoxville since Missouri joined the SEC. In games played in Columbia during that time, UT holds only a 65.8 to 65.5 edge in scoring. In the past seven games combined, the Lady Vols have outscored the Tigers by an average score of 69.6 to 60.0. Tennessee beat MU, 84-39, in Knoxville on Jan. 10, 2013, in their first-ever SEC meeting. Later that season Mizzou evened the score, defeating UT, 80-63, in Columbia. Prior to 2013, the Lady Vols defeated Missouri as a non-conference foe three times, most recently at the 2010 Paradise Jam tournament in the U.S. Virgin Islands, 82-44, with Holly Warlick serving as UT’s assistant coach. Warlick also has had a hand in two wins in the series as a player for Tennessee from 1976-80. No. 2-ranked UT defeated the No. 18 Tigers in Warlick’s sophomore year, taking a 101-83 victory at former Lady Vol home arena Stokely Athletics Center on Jan. 14, 1978. No. 1 Tennessee prevailed over the No. 19 hosts, 74-61, on Dec. 9, 1978, in Mizzou’s Midwestern Classic in Warlick’s junior season. THE FIRM: Davis, Westbrook & Jackson…has a nice ring for a law firm. They don’t have legal credentials (yet) but their statistical credentials are pretty impressive. Evina Westbrook (6), Rennia Davis (3) and Meme Jackson (3) have combined to produce 12 20-point games this year. Over the past eight games, at least one has scored 20 for Tennessee. Their numbers: RD: 15.5 ppg./8.3 rpg., EW: 15.5 ppg./5.5 apg. and MJ: 14.8 ppg./36 3FGs. M3M3 FOR THREE! : Meme Jackson led UT last season with 50 three-pointers in 33 games. After hitting five of eight at Auburn, she’s on pace to hit 90 or more. If she were to get in that range, that number would place her third all-time at UT for 3FGs in a season. DYNAMITE DAVIS: Over the past three games, Rennia Davis is averaging 20.7 ppg., 11.0 rpg. and shooting 56% on FGs (24-43), 56% on 3FGs (5-9) and 90% on FTs (9-10) with a pair of double-doubles. SHARING THE BASKETBALL: UT (ranks No. 3 in the SEC at 15.7 apg.) has averaged 19.5 assists the past four games, recording 20 vs. ETSU, 21 vs. Murray State, 19 vs. Belmont and 18 vs. Auburn. Evina Westbrook is averaging 5.8 per game during that span and 5.5 for the season (No. 2 SEC), a mark that would rank No. 7 all-time at UT and No. 2 by a Lady Vol sophomore. CONSISTENT SCORING: After putting up 65 points vs. Stetson, the Lady Vols have averaged 85.5 points since then to keep their season number at 82.4 ppg. (45.2 FG%). THREE-BALL STREAK: UT has hit seven or more three-pointers in six straight games after having not done that in more than four consecutive contests prior to this year. GOING TO THE BOARDS: UT pulls down 45.23 rebounds per game to rank No. 2 in the SEC and No. 13 nationally. They grab 17 offensive boards per contest to rank No. 2 in the league and No. 21 in the country. Missouri welcomed back 10 letterwinners, including three starters from last year’s squad. Another letterwinner/starter, Cierra Porter recently rejoined the program after initially retiring from basketball following the 2017-18 season. Among the returnees is senior guard Sophie Cunningham, a three-time All-SEC selection who is averaging 15.7 ppg. and 5.9 rpg. Junior guard Amber Smith is MU’s other double figures scorer, averaging 14.5 ppg. to go with a team-leading 7.7 rpg. Missouri is coached by Robin Pingeton, who is in her ninth season at the school and owns a 159-111 record there. Last season, Missouri went 24-8 overall and finished tied with UT in fourth place in the SEC at 11-5. The Tigers fell in the first round of the NCAA Tournament to Florida Gulf Coast, 80-70. In addition to having Sophie Cunningham on the All-SEC Team, Mizzou had Jordan Frericks earning second-team accolades. No. 11/11 Tennessee dropped a hard-fought thriller at No. 13/13 Missouri on Feb. 18, 2018, falling to the Tigers by a score of 77-73 in front of a record crowd of 11,092 at Mizzou Arena. Senior Jaime Nared led the Lady Vols (21-6, 9-5 SEC) with 25 points, while Mercedes Russell added 10 points and nine rebounds. UT overcame a 13-point second-quarter deficit and worked the game into a 62-62 tie with 5:18 remaining. However, the Tigers (22-5, 10-4 SEC) used clutch free-throw shooting down the stretch to pull ahead late, including two from Sophie Cunningham with one second remaining that put them ahead by four. Cunningham netted 32 points on 9-of-14 shooting to lead Missouri. Diamond DeShields fired in 22 points, as the Lady Vols pulled away from the Tigers in the fourth quarter to win, 77-66, in Knoxville on Jan. 9, 2017. Although the teams fought neck and neck through the first three periods of play, #24/25 Tennessee (16-8, 7-4 SEC) exploded in the fourth to put a gritty Missouri team (16-9, 6-5 SEC) away behind 75 percent shooting from the field during the period. Jaime Nared, Mercedes Russell and Jordan Reynolds added 18, 12, and 12, respectively. Cierra Porter led the Tigers with 19 points and 10 rebounds.